iD Tech's March Madness Tournement Bracket! It is College Basketball Tournament season and things are looking really exciting. With all the Bracketology, Prognositcators, and Experts out there, people are probably wondering what iD’s men’s basketball bracket looks like. We like to root on our favorite schools – those that host our summer programs and teen summer camps! 1. Any school that hosts iD Tech is predicted to win. 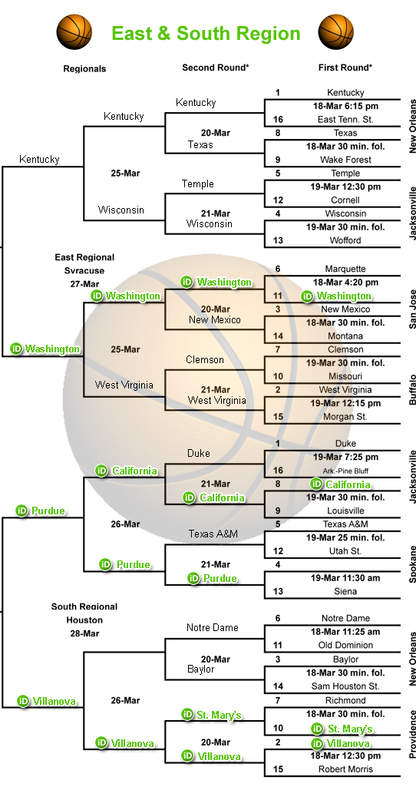 Let’s look at the Midwest Region. We have THE Ohio State University representing as the No. 2 seed. They have a strong team that’s battled through a challenging Big Ten Conference this year. They’ve got what it takes to clean house and take Kansas out of the running. 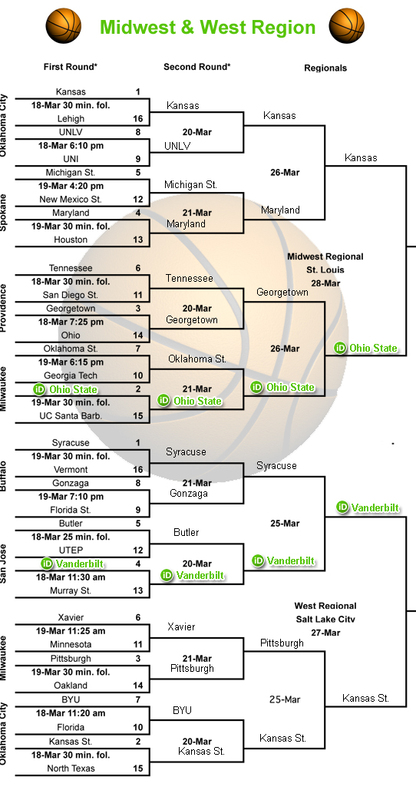 The West Region has Vanderbilt University of Nashville, Tennessee. They’re only a 4 seed and will have to face Syracuse to make it to the Final Four. In the East Region, we’ll get to watch some Huskies run the court! University of Washington, which hosts iD Tech Camps and iD Gaming Academy (where students learn game design), would be quite the Dark Horse to advance as far as we’d like! Finally in the South Region, we’ll be rooting for four teams! University of California: Berkeley will have to pull off a pretty big upset to beat Duke in the 2nd round. With iDTC and iD Visual Arts Academy running on campus this summer, we know they can do it! Purdue has had a solid year, but comes in as a No. 4 seed. We’ve been on campus for only two years, but we think the Boilermakers can easily advance to the Elite 8. Then, we get to watch St. Mary’s of California go up against Richmond. If, I mean “when”, they advance, they’ll then be pitted against another of our home teams – Villanova. They’re our favorite spot in Philly for iD Tech Camp and even where we hold our staff training. They should go deep this year. 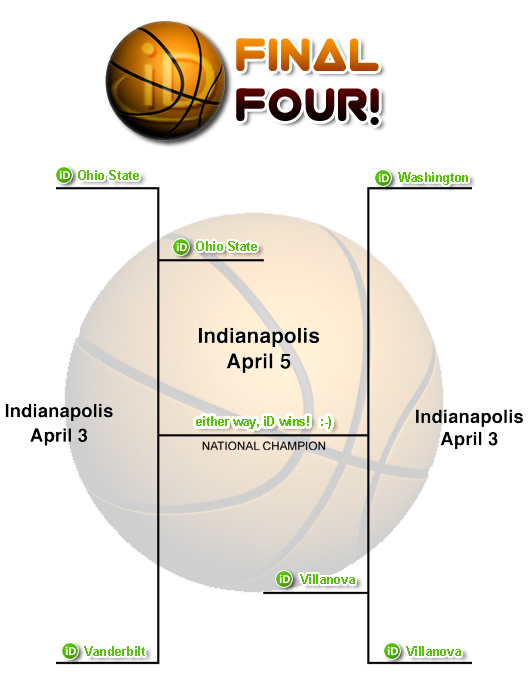 The iDeal Final Four would be The Ohio State vs. Vanderbilt and Villanova vs. Washington. Are we that crazy to put an 11 seed UW into the Final Four? They’ve got a big cheerleader in their corner to take them far. Championship game would then be Ohio State against Villanova. With the game in Indianapolis, this would be great for Buckeye fans! But since it is a match of No. 2 Seeds, our bracket system is stuck! Or do you have someone else in the Final Four? Time to sound-off readers, I want to hear support for your teams in the comments!!! BIG thanks to Charlie for giving me this iDea and providing the B-ball insight!